All settings where disturbed children spend time, such as camps or residential schools, are periodically faced with crisis situations. Methods for dealing with these crises and for counseling the children involved are continually needed. 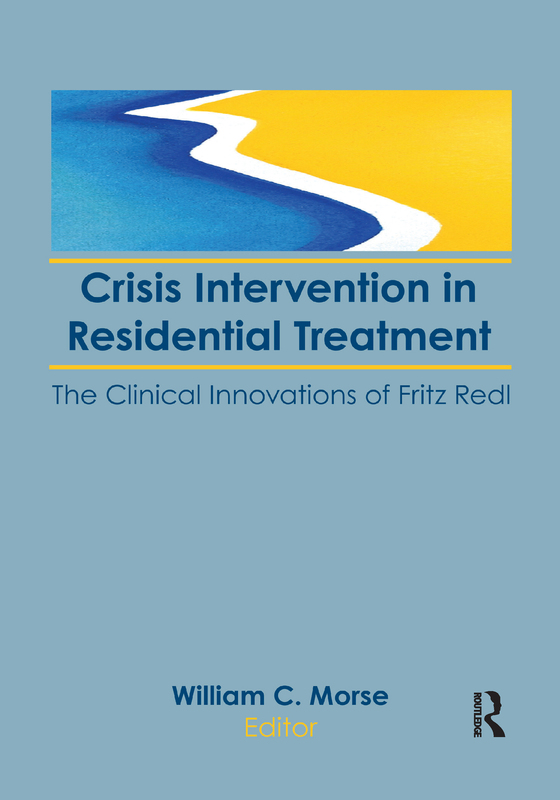 Crisis Intervention in Residential Treatment is both a demonstration of how essential Fritz Redl’s treatment concepts remain today and a tribute to his genius. The authors bring order and reason to the quest for better ways to understand and respond to confrontation and aggression in residential treatment settings. They provide practical and successful strategies to cope with these situations and prevent them from occurring. By exploring and expanding some of Redl’s most important theories and practices, the authors encourage a new generation of child care workers to find the same stimulation and satisfaction in his work as his original followers found. The contributors, each deeply affected and influenced in his or her own way by Redl, provide not only a moving tribute to a great child care worker and innovator, but also a rejuvenation of some of the most valued ideas in the field. Sharing Redl’s concern for daily practice with very difficult youngsters, this understanding book focuses on the action setting and the development of theory from practice, not the application of theory to practice. By concentrating on such topics as the use of life space interviewing, aggression and counter-aggression in staff, and the contrast of interpersonal and ecological perspectives with current “get tough” approaches, Crisis Intervention in Residential Treatment is an eminently useful guide for everyone dealing with children in group settings. Psychiatrists, psychologists, social workers, teachers, and residential personnel will all learn effective ways of coping with and preventing crisis situations. Wonder What Fritz Would Say?